You may be hard-pressed to find a person who loves going to the dentist, and while it is true that dental work and visits are far from anyone’s perfect day, it’s a necessity to ensure that your oral health remains strong. Cavities (dental caries) present some of the earliest threats to your oral health and, when they are not addressed, can lead to many more significant and dangerous concerns. Thankfully, when dental visits are part of your routine, you can rest assured that any potential issues are handled before they become overly worrisome. To enhance his ability to detect these harmful cavities, Dr. Tomazin offers laser technology to go beyond what traditional X-ray imaging can identify, allowing him to see even the earliest stages of cavities. While X-rays are still a vital tool in detecting cavities, they can only spot trouble areas once they reach a certain size. The DIAGNOdent™ laser is different, working tooth by tooth to see every crevice and blemish on your smile. This enhanced view allows Dr. Tomazin to identify and treat cavities at a much earlier stage. With this technology, the risk of waiting too long is gone, and you are saved from more extreme and expensive dental procedures. The CariVu™ laser makes use of infrared light. Similar to the DIAGNOdent™, this laser also works tooth by tooth. By making the healthy parts of the tooth appear transparent and darkening any fractures or damage to the tooth, this technology allows for the earliest detection of dental caries. A camera then captures the image so that Dr. Tomazin can correctly diagnose and treat the problem. This machine uses no ionizing radiation for the safest and most effective identification. What Can Early Detection Do? While early detection of cavities still requires dental work, the work being done is far less invasive than if you had waited. Instead of a root canal or an extraction, a small filling may be all you need, which helps to both minimize the severity and cost of dental procedures. To save yourself from the future stress of dental work, schedule an appointment with Dr. Tomazin today by calling 951-686-3666. A full and healthy smile can be one of the most confidence-enhancing features you can hope to have. Your smile is often the first thing someone notices about you, and it can have a significant effect on their first impression of you. Unfortunately, dental conditions are common, and many people find that they have teeth that are chipped, discolored, damaged, or missing altogether for a variety of different reasons. These conditions can make you feel like you need to hide your smile, and by extension, part of who you are. Dental implants can relieve that stress and give you the healthy teeth you have been dreaming of. What Can You Expect With the Procedure? Dental implants are placed in a two-step process. The first is the insertion of the implant, which looks very similar to a screw. This screw is placed directly into your jaw and, over the course of a few months, will bond with the bone to create a strong base for the replacement tooth. During this time, a temporary tooth can be worn to mask the appearance of the missing tooth. After the implant has bonded with the bone, the replacement porcelain crown is attached, and your smile is complete. Dental implants can improve the appearance of a single tooth, multiple teeth, or an entire smile. Take back confidence with your smile. If you have missing or damaged teeth that make you self-conscious, call Dr. Tomazin today at 951-686-3666 to see if you may be a candidate for long-lasting dental implants. Porcelain veneers are a beautiful addition to your smile. These natural-looking sleeves of porcelain slide over and are bonded to the face of your tooth to correct damaged, discolored, or crooked teeth. While veneers are durable and long lasting, they still require maintenance and proper oral care, just as your natural teeth do. By keeping the following in mind, you can assure that your veneers will keep you smiling for years. Good at-home oral care starts and revolves around proper brushing and flossing. This principle must also be applied to your veneers. Even though veneers will not decay, the tooth it is bonded to will unless you practice consistent brushing and flossing. 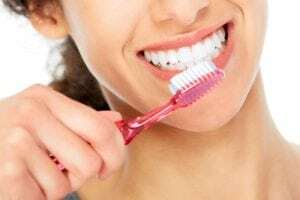 This means that you should brush your teeth at least twice a day (after every meal if possible) with a soft, extra soft, or electric toothbrush, and floss at least once a day (before bed is preferable) to keep both your veneers and natural teeth looking and feeling healthy. Usage of any tobacco products will affect the lifespan and appearance of your veneers. 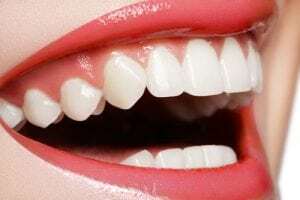 Smoking not only stains your beautiful white smile, but it can also be detrimental to the underlying teeth responsible for keeping your veneers in place. Foods such as soda, coffee, tea, and wine are known to stain teeth. Consuming them in moderation and brushing or rinsing your teeth soon after having these drinks can help avoid staining both the veneers and your natural teeth. Biting your nails and similar bad habits damage both your veneers and natural teeth. Chewing on any non-edible item can wear down the surface of your veneers and cause them to chip or crack. Essential for patients that grind their teeth at night, a mouth guard can help protect and prolong the lifespan of your veneers. While you can get a mouthguard at any drug store, custom-made mouthguards from your dentist will better protect your beautiful smile. The best way to ensure that your veneers are staying healthy is to treat them the same as you would your natural teeth. Routine dental check ups and cleanings, meaning appointments twice a year, will keep your entire smile looking its best.